Provides design and consulting services in the area of the integration of complex electronic systems. We are specialized in using state-of-the-art integration technologies like FPGAs, ASICs, or embedded processors. Founded in 2001 Oregano’s services range from consulting as well as project management to complete implementations of embedded systems. Oregano’s customers originate from small and medium sized enterprises to large international companies and include all sectors of the industry. 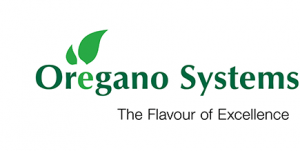 Oregano’s strength is long standing know-how in all relevant areas of embedded system design allowing for exhaustive system analysis leading to an efficient solution of our customers problems and requirements. Oregano’s product portfolio is divided in two sections: clock synchronisation and Voice-over-IP Intercom. Oregano Systems syn1588® products allows to precisely synchronize clocks via Ethernet networks. Oregano Systems provides software, hardware, IP cores, and systems for synchroniszing clocks.